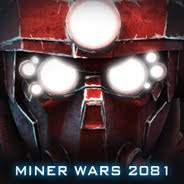 My name is Marek Rosa and I'm the guy who started Miner Wars development. I'll be documenting the tough life of Miner Wars developers - covering topics such as programming, 2D/3D art, game design, story, business... basically anything that comes through me. Luckily, now is the best time to start - today I fly to Los Angeles - our team is going to visit E3, meet industry people, shake hands, etc.--you know the drill. We already have big and unrealistic plans for next year's E3 - we want to make a big show, Miner Wars and VRAGE running on big screens, real 6DoF cockpit, explosions, blood, girls... Hollywood style! Now, there is one thing better than the whole of E3--I can finally get some free time and just screw around. I'm extending my trip to the US for one more week, so my homie Ansel and I will be doing a road trip over the US before and after E3. We're going to visit Mexico, San Diego, Las Vegas, Grand Canyon, Meteor Crater, Phoenix in Arizona, then back to LA, Hollywood, Universal Studios Park, and many more! We'll keep you posted with photos of our travel and shenanigans. On a different note: 3 new developers are joining our Prague team and 1 more is on his way. That'll make a total of 11 developers in Prague, 3 in the USA, and 1 in Australia, (and some other external people too). Quite a menagerie.